When you need a reliable and dependable removal service Rotherhithe, Rotherhithe Removals is here to help. Our removal van services are the best in the business and can navigate the area with consummate ease. The removal van services we offer are always ready and on hand to help you no matter whether you’re moving one room or ten. It is no surprise to our customers that when they choose us they save both time and money. To speak to one of our customer service advisors, give us a call on 020 8746 4443. The home-buying or home-renting process can be stressful and last thing anyone wants after finding a new home is to have to spend hour after hour moving items in. Hiring our Rotherhithe removal van services provide you with a friendly and reliable service that will not only get the job done with ease but at an affordable price. We understand that it can be difficult to find a reliable delivery company in the area, but rest assured this is where our company comes into our own. Our vans are offered at fair hourly rates, so simply drop by a petrol station, fill up the tank and away you go. When hiring a SE16 moving van from one of our vast fleet, we can guarantee that you will be getting the best removal van service that money can buy. You can be assured that when you choose us you won’t be spending hours on end filing out needless paperwork. There is no doubt that we will have you out of our offices and on the road in no time at all. Customer satisfaction is the aim of the game and with our team of dedicated and experienced personnel on hand you can be sure that you made the right choice in choosing us. It doesn’t matter whether you are moving into, around or out of the Rotherhithe area, our team will be on hand to help you during your move. After a booking one of our commercial vans, at a low price that will stand head and shoulders above our competition, speak to one of our staff on 020 8746 4443. 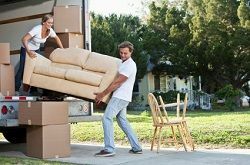 We are no strangers to the moving game and are more than happy to give you a few tricks and tips that will help make your move easier. When hiring one of our moving vans you will be in a position in which you will have to pack and load your own items. To make the move as smooth as possible it is always recommend that you partner our SE16 removal van with one of our packing services. If you do choose to go ahead without such, always remember the key elements of packing to make sure any chance of breakages occurring are nullified. Bigger items such as furniture and mirrors should be packed and wrapped with both bubble wrap and blankets. If possible dissemble any large items before loading them to help manage space better. Unpacking requires just as much due to care and attention, always make it a multi-person job and don’t overstrain yourself with heavy items. When looking for a Rotherhithe removal van, you’ll never get better value or better quality than one from our fleet. Rotherhithe Removals strive to deliver vans that stand up to all our customers needs and requirements. Built for quality one of our vans will become a key and reliable element of your move. Get in touch with us now on 020 8746 4443 and speak to one of customer service advisors to see exactly what vans we have available.